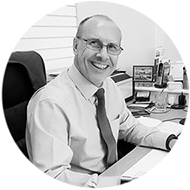 Whether you are looking to buy for the first time, trade up or down, buying to let out, or even buy a retirement property with an equity release mortgage Gary Andrews is an independent financial adviser who can cover the whole of the market. Comparing rates always looks easy but like everything else the devil can be in the detail. Mortgage companies have all sorts of different fees and charges and making sure that you have the right product for you can be a daunting task.